LocalBitcoins – Is it safe? Or a scam? Over the last few years, the cryptocurrency market has grown to become a lucrative option for long-term assets. Millions of people are now involved in buying various currencies. Well, Bitcoin isn’t really the top choice medium when making an international money transfer. It’s said to be expensive and slower compared to other methods like bank transfer and Forex services. However, LocalBitcoins is here to change the narrative in form of a peer to peer marketplace. It provides its users with a revolutionary way to trade and obtain Bitcoin. Through the site, users can create as well as list their ads, get in touch with potential buyers and sellers, and also affirm all transaction details prior to finalizing a trade. 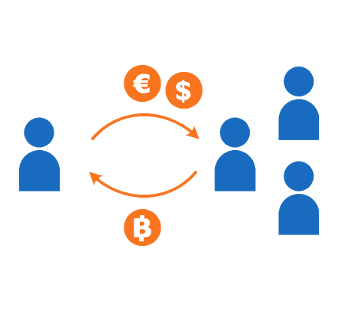 Through LocalBitcoins, one can theoretically finalize a money transfer without accumulating any charges. Sometimes the transactions take as little as one hour. The platform acts as a gateway into the complex environs of Bitcoin trading. It allows new entrants to adapt selling and buying bitcoin. LocalBitcoins has maintained a high reputation and has a presence in more than 248 countries. LocalBitcoins is a peer to peer marketplace that allows direct trading of Bitcoin among people. New visitors interested in creating an account should visit the Signup page. 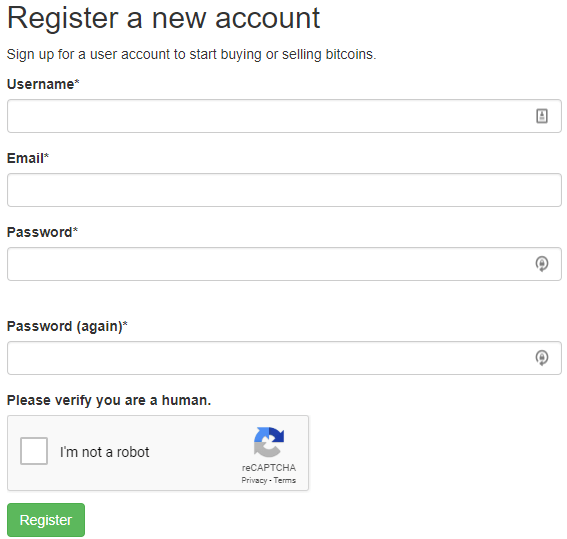 Anyone is allowed to sign up and is required to provide their official names according to the policy of LocalBitcoins. payment methods, and seller locations. Users can check the trading history and reputation of the vendor during a search. It’s also possible to have direct communication with the seller and discuss any pertinent issues. Once the verifications are complete, you can click on “Buy” to start the trade. Before completing any transaction, it’s necessary to verify your payment method, amount to buy, the form of ID you’ll be using, and how you’d like to receive the Bitcoin. It’s a straightforward process and LocalBitcoins incorporates various factors that enhance your experience. How many countries offer LocalBitcoins services? What time does it take to send money with LocalBitcoins? What cryptocurrencies does LocalBitcoins support? What is LocalBitcoins’ market positioning? What Needs You to be Cautious? The platform allows you to buy and sell Bitcoins via numerous payment methods. There are four basic steps to follow when sending or receiving money through LocalBitcoins. When using LocalBitcoins, one can opt to buy Bitcoins in person or online. The website’s homepage has listings with ads. Click on one of the listings and see the trader’s pricing on bitcoins. You’re also allowed to add your own ad. Once you initiate a trade, you have to go through the escrow process integrated into the platform. You, therefore, send the money to LocalBitcoins and not the seller. On the other hand, the seller will also send Bitcoins to the same platform. Once both parties have sent in their funds, the platform releases the money to the seller and the Bitcoins to you. Once you have received your Bitcoins, transfer them to your recipient’s wallet from your LocalBitcoins wallet. Your recipient can finally sell the Bitcoins. That is, selling them on LocalBitcoins for an optional fiat currency. Is there minimum transfer fees? There is no minimum or maximum limit. How much one can transfer depends on individual sellers and buyers. What are LocalBitcoins Exchange rates? The platform does not set bitcoin exchange rates. Bitcoins, it’s possible to come across an exchange rate that’s equivalent to the mid-market rates. Nonetheless, this is a rare scenario considering users also want to make some little profit out of selling bitcoins. More often than not you’ll come across an exchange rate that is slightly higher compared to the mid-market rate. The best offers will often be about 1% higher than the mid-market rates. LocalBitcoins has built a presence in over 200 countries and more than 14,000 cities around the globe. Their head office is in Helsinki, Finland. LocalBitcoins allows you to trade in over 100 currencies. When buying and selling Bitcoins, it might take a while to assemble the appropriate trade partners. Generally, the amount of time it takes to fulfill a sale or purchase depends on how fast you and your partner send funds to LocalBitcoins. Bitcoin transactions take about 10 to 60 minutes to complete. It, therefore, means that if a smooth money transfer takes place, the transaction can be completed in a few hours. Sometimes it might take an hour to complete. Well, going by the name, LocalBitcoins supports bitcoins only for now. Bitcoin trading has been their key feature since the year 2012. It’s not known if they have a plan to add other cryptocurrencies soon. However, LocalEthereum is a website that is related to LocalBitcoins but they aren’t technically the same. The platform has a strong market positioning especially considering its presence in more than 248 countries. Most users love their privacy and therefore do not wish to disclose their identity. They prefer to use anonymous means which LocalBitcoins provides. The exchange platform managed to secure 13.85 million views in the last half of the year. Fees can be quite high on other platforms, but LocalBitcoins has made its fees to be relatively light. The platform charges a commission of 1% from sellers. That is, individuals who have posted an ad. However, buyers need to be aware that the price of Bitcoin will be higher than what is found on centralized exchanges. Mainstream exchanges charge commissions across all their trades and hence the reason for cheaper Bitcoin price than LocalBitcoins. Vendors on this platform increase their selling price as a way to generate revenue. They also risk selling to individuals that may attempt to initiate PayPal chargeback and hence charge higher to mitigate these kinds of risks. Once a trade has been initiated, any cash or bitcoins that have been sent are held in the platform by escrow administrators. For the funds to be discharged, the vendor has to confirm that the exchange was successful. LocalBitcoins has a vibrant support team and they are often quick to respond to emails. Emails are their primary form of communication. The platform also hosts a forum that allows users to discuss issues and offer guidance. Hackers have always been a problem to technology. It is, therefore, necessary to have an additional PIN code to boost your account security. 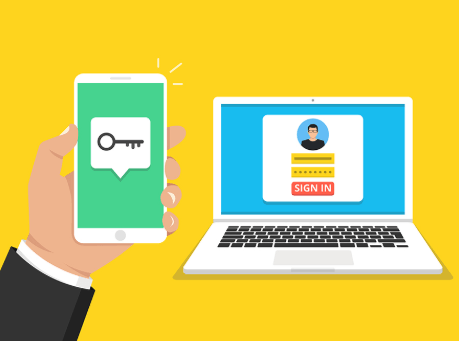 With two factor authentication, users have to confirm their login by receiving a PIN code directly on their phone. Traders on this platform are ranked depending on their activity. Additionally, their feedback ratings and trading history are available for all members to see. If a client happens to come across any issues, the customer support service at LocalBitcoins will provide a conflict resolution service. They investigate into the matter and find a way to resolve the disagreements between the sellers and the buyers. some deals are too good to be true. Fraud generally; LocalBitcoins is a peer to peer marketplace where you’ll be exchanging Bitcoins and money with various people from diverse backgrounds. Be cautious of deals that look too good to be true. The platform accepts different modes of payment, be careful when asked to make a transaction through methods you’ve not used before. In addition, you’ve got to be careful when exchanging Bitcoins in return for gift codes, it’s a high-risk option. If you consider the option of exchanging Bitcoins in-person, ensure to exchange in areas that are well-populated. Don’t hesitate to cancel a deal if you feel something is unusual. It allows a variety of methods to purchase Bitcoins. Most payment methods are acceptable here, ranging from mobile wallets to bank wires. In most countries where cryptocurrency trading and other exchanges are banned, it’s the only platform to purchase Bitcoins. It’s fully functional and operational in more than 248 countries and 15,582 cities. It’s possible to buy Bitcoins using cash. Buyers and sellers can have an in-person trade where they can use cash for the monetary transaction. You’ll then receive the agreed quantity of Bitcoins into your LocalBitcoins wallet. It operates in a completely decentralized manner focusing mainly on peer to peer trade. Quick and instantaneous trade. Once you pay the agreed amount and it’s verified by the seller, you’ll have the Bitcoins credited to your wallet within a short time. They support a variety of fiat currencies. You don’t have to worry about trading in USD, GBP, or EUR. They have extra security measures. All user accounts have been enabled with two-factor authentication. A login-guard is also available. If a login is made from a different browser you’ll be notified immediately. Buying and selling of Bitcoins on this platform is free. They only charge a 1% flat fee on each completed trade. It’s a private way to sell or buy cryptocurrency. As a user, you can complete transactions without having to share your personal information. LocalBitcoins also bears the responsibility to protect any personal information that you’ve shared with them. It’s not available in a number of states in the US, including New York, as well as developed countries such as Germany. Being anonymous has its own risks and dangers. Fraud is a high risk on this platform considering that the power lies with the people. There is an endless list of scams. Users who frequently don’t follow through with a trade get a ban from LocalBitcoins. However, if you lose money because a seller did not deliver Bitcoins to your wallet, nobody will be there to help you. They warn users about the possibility of scams and therefore can’t compensate you if you fall a victim. Sellers can receive your payments (maybe from a bank transfer) and report that they did not receive it. The Bitcoins are therefore not delivered into your account. If it happens, you can complain and give a negative feedback to the seller but won’t get your money back. You are charged a higher rate of fees when you opt to go for the cash option. It doesn’t deal with any other type of cryptocurrency apart from bitcoins. It’s quite difficult for new users to sell or buy Bitcoins, this is because they have no ratings. Your payment method will determine the speed of the transaction. It also depends on how quickly the seller acknowledges that they have received the money. LocalBitcoins is the only present and active platform to buy Bitcoins in cash and by using a peer to peer domain. It’s one of the easiest platforms you can use to acquire bitcoins. Various payment methods are acceptable on this platform and they don’t impose selling or buying limits. They also only charge a 1% flat fee for each completed transaction. Users should be aware of untrustworthy sellers. Some deals are too good to be true and once your money has been delivered to the seller there’s no way to get it back. Also, Bitcoin prices on this platform are slightly higher compared to ordinary exchanges.